Uzbekistan is ready to consider the proposal of partners to reform the International Fund for Saving the Aral Sea (IFAS), Uzbekistan’s President Shavkat Mirziyoyev said at the summit in Turkmenistan, the UzA news agency reported. “The fund is the only regional organization that has undergone a test of durability and today it can become an effective mechanism for cooperation," the president said. 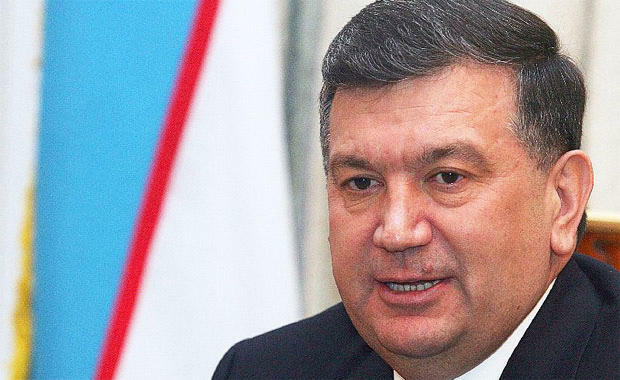 "I am confident that we will be able to achieve a balance of interests of all regional countries within the organization, our common future is in our hands," Mirziyoyev said. The president stressed that only with the full participation of all countries in the activity of the fund, it will be possible to solve common problems and challenges. "In this regard, we are ready to consider the proposals of our partners to improve the regulatory and legal framework and organizational structure of the International Fund for Saving the Aral Sea," he said. The summit of the heads of the founding states of the International Fund for Saving the Aral Sea (IFAS) was held in Turkmenistan’s Turkmenbashi. Leaders of Kazakhstan, Kyrgyzstan, Tajikistan, Turkmenistan and Uzbekistan took part in the event. In 2016 Kyrgyzstan suspended its participation in the activity of the fund as it did not meet the interests and vital needs of the country. In 2009, Bishkek insisted on the need for reform to equalize the interests of all Central Asian countries.